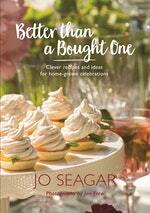 Jo Seagar — dubbed ‘cook of the nation’ by Next magazine — is a hugely successful bestselling cookbook author and TV cook, famed for her catch-cries of ‘Easy peasy’ and ‘Maximum effect for minimum effort’. Trained as a cordon bleu chef in Paris and London, for many years Seagar was a columnist for North & South magazine, while running popular Hartley’s restaurant in Auckland. She also wrote for the New Zealand Woman’s Weekly. 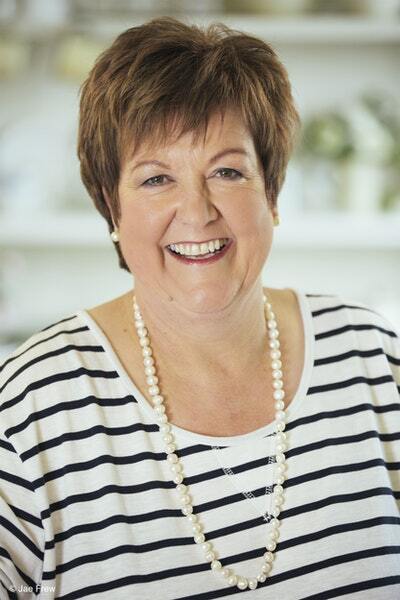 Real Food for Real People saw her move into television, and this series was a followed by Jo Seagar Cooks, bringing the chef known for her pearls and her ‘easy-peasy’ catch-cry to a wider audience. She was ‘ahead of the curve in the whole seasonal/local/simple food-done-well philosophy’ (Weekend Herald). Her promotion of fresh local ingredients with cooking that should be ‘a doddle’, combined with her humorous down-to-earth approach, has endeared her to the nation, with the first edition of her classic You Shouldn’t Have Gone to So Much Trouble, Darling selling over 70,000 copies. A real sense of joy and passion infuses her approach to cooking: ‘There’s a lot more to food than getting nutrients.’ As well as her trademark books on stress-free entertaining, she has written cookbooks for novice cooks and for children.